Creation: Appeared July 1933 as a renumbering of VA 523 running from Harborton to Wachapreague. This is the only VA 180. Adjustments: In Aug 1933 (CTB), VA 180 was extended west 0.10 miles to its current endpoint. 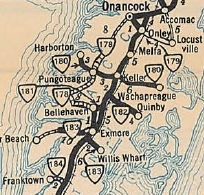 VA 180 was multilaned in 1974 when it was duplexed with US 13. 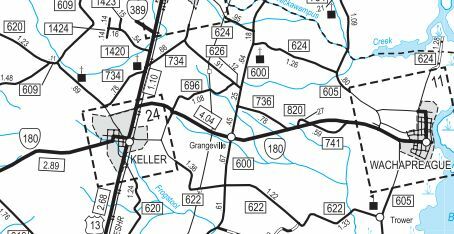 Scenic Byway: VA 178 to SR 605, since 2-16-94. Comment: VA 180 makes a zig-zag in western Keller. 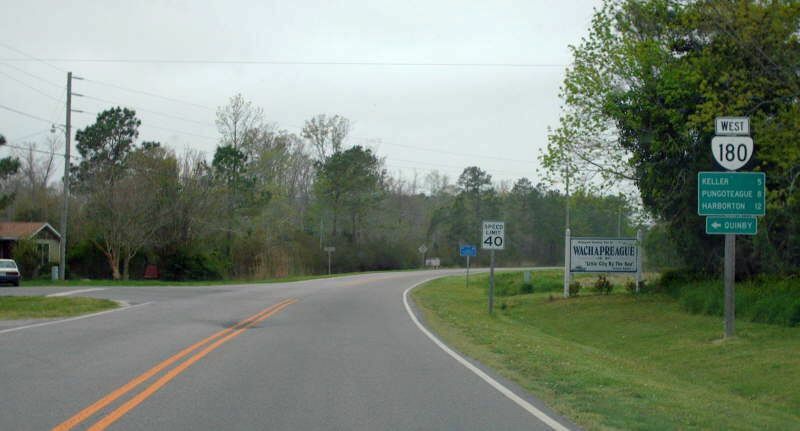 Before 1974, VA 180 was a series of zigs and zags east out to Wachapreague.